This is me in my studio. In here, I get to make real the pictures and stories I see in my head and make some kind of sense of the world. Making things creates a space in my head. For the last eight years I’ve been (mainly) cutting up pieces of paper with a scalpel and making prints with them. 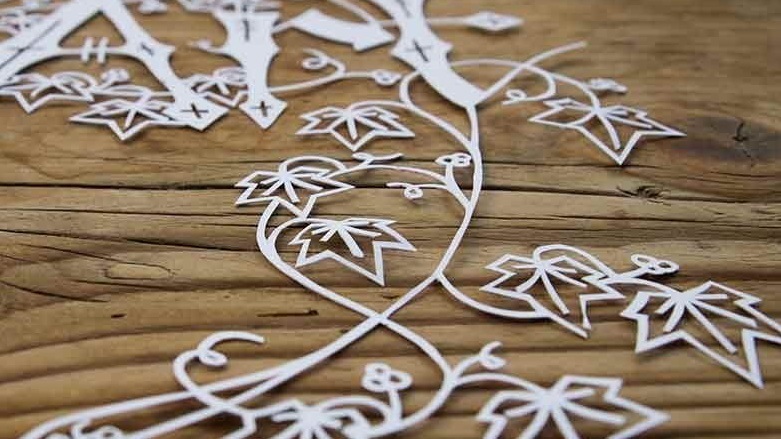 Paper cutting is a simple process. With a blade, I can remove everything that is unnecessary and discard the clutter. I love words the most, but sometimes I make pictures of the things things that illustrate my life too. Making things with other people is one of my favourite things. This is why; 1. Making things is fun, 2. I get to share the fun with someone else and 3. Magic happens. Whether it’s an illustration for a wedding invitation, a book or album cover, a custom phrase, a sign board or a whole brand identity, working with someone else to discover a design is one of those times when so the result is so much more than the sum of its parts. Here are some of my favourite projects. I make things and I write things, but I’m not the kind of girl who chooses to wear her heart on her sleeve. I’d rather have a quiet conversation with wine and swearing than sing anything from the roof tops. Join me on my mailing list if you like. One day back in the spring I was feeling a little lost. So many options, which one to choose. 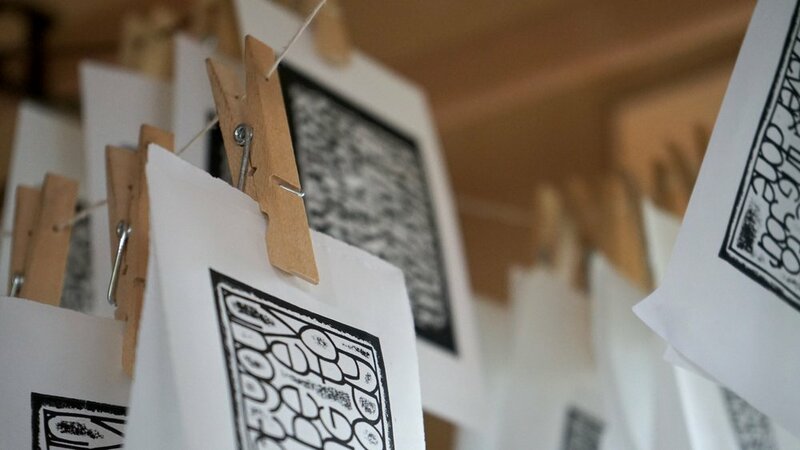 So, back to basics, one tiny print, quick and easy. I fell in love all over again. I made another, and another and so it began. My own little doses of encouragement; phrases that I tell myself everyday, favourite quotes, challenges, statements of fact. All the little words that call to me, and resonate. Every so often I’d like to send a newsletter with special treats in. Let me know if you would like it landing in your inbox.